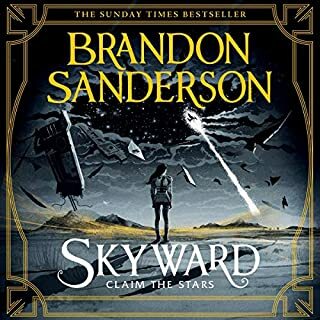 Thoroughly enjoyed the story and the reader was great however too often the volume had to adjusted. Very loud one minute and then next the volume had to increased as it could be heard. This story, from start to finish was enthralling, gripping, hilarious and down right Brilliant. I bow down to the mind of the author. best performace ive ever experienced. superb. Fantastic. its hard not to enjoy this book. fast paced, witty, gripping - its just a good story. Masterful character creation and development. 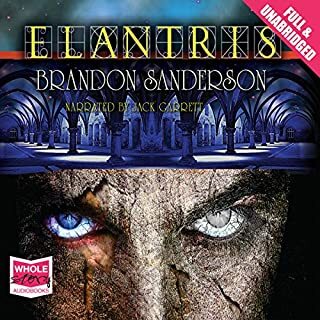 amoung the best fantasy books ive read/listened to. A fresh take on typical fantasy! This is an excellent original story and the performance brings the language and particularly interesting insults to life. got to love a good insult. If you love Abercrombie you will love Lynch, great charters with great depth! The voice actor was top notch too! 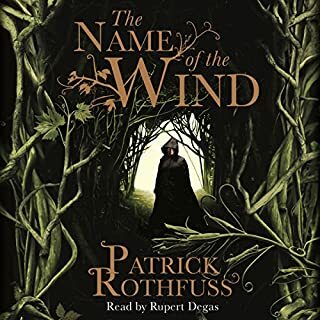 Can't wait for my next credit I had to buy the next book in the series. timeline skips are confusing and characters barely make it in 1 dimension. The performance sounds overblown or overacted. Either way it was not worth the download. 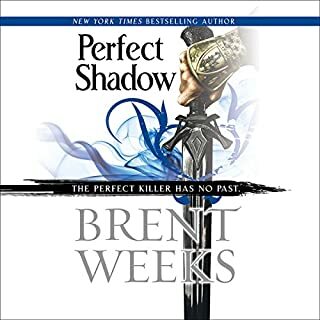 If you like you mc skilled warriors then move on.the mc is a fantastic criminal but sadly due to his lack of physical prowess he finds himself constantly outmatched and beaten.making his victorys all the more satisfying.this book is not an action packed ride but a steady read with interesting plot twists. 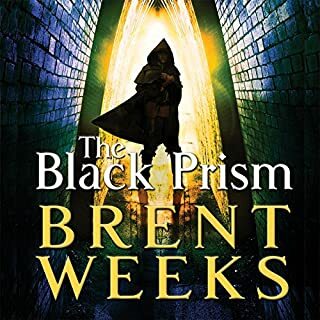 Lynch has written an excellent story in the spirit of Fritz Leiber, with characters that do full justice to their Grey Mouser and Fafhrd ancestry. Pastiche this is not. 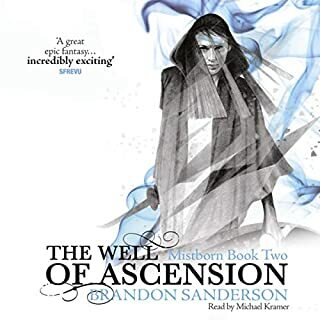 Witty, cunning, and occasionally swashbuckling, his characters dance through the stained glory of their fabulously imagined city and into a special place in fantasy folklore. 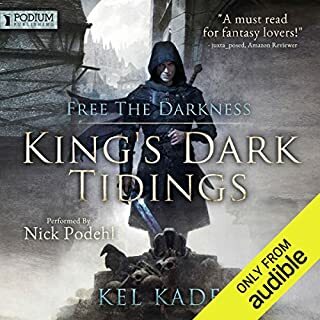 The audio book is beautifully read by Michael Page, and you can tell that he is relishing the plummy accents of the extended cast. A fantastic listen. Highly recommended. 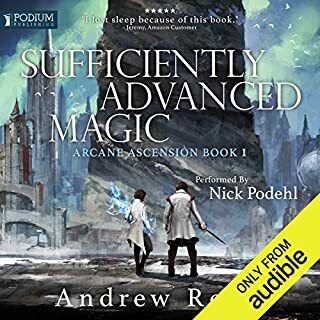 This was my first download from Audible and it has set the bar very high. It is very witty and entertaining and the narration is first-rate. 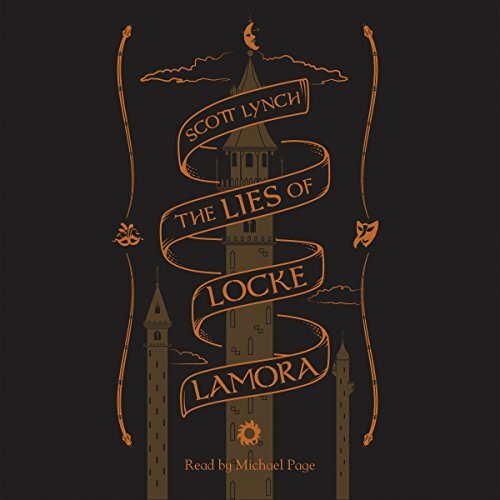 With an eclectic cast of characters it follows the exploits of Locke Lamora as he progresses through the underworld of Camorr from his humble beginnings as a young troublemaker through to notoriety as a genius conman who plays by his own rules. 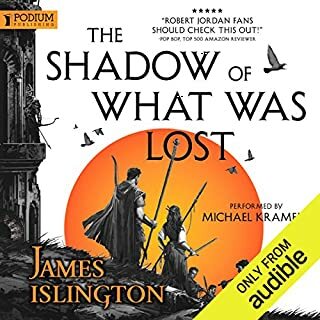 It is a cracking adventure story which is a pleasure to listen to. 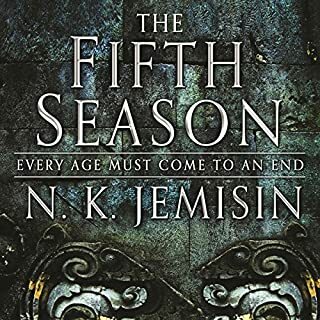 I've just realised that I havn't reviewed this series. 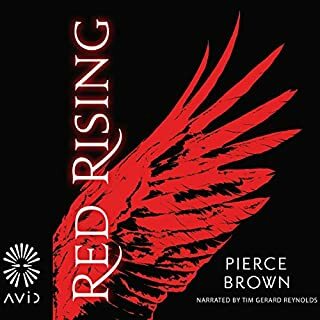 I typically don't bother reviewing books that already have many reviews, and to be honest I have nothing particularly new to add...........so rather, I'll review this book with reference to the full series. 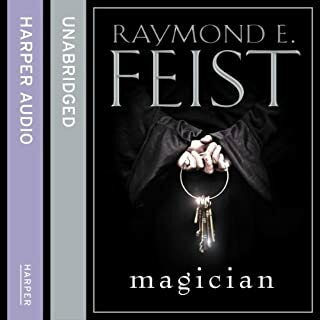 This is a fun series - all three books that have been released so far are easy going, enjoyable, escapist listens. Narration is good. Each could stand alone, but each ends with the prospect of new adventure. By the time one gets to the third book in the series though, there are quite a few open questions about who Locke really is.....I may just have to start at the beginning again in order to identify new clues. If like me, you read a review by someone who has also rated /raved about a book you feel similiarly about, that you then trawl through their other reviews to get ideas for other possible listens..........and if your taste is similar to mine, then have a go at this series too (it makes a lighter, yet still enjoyable, alternative to the heavier Sanderson/Rothfuss/Brett epics). 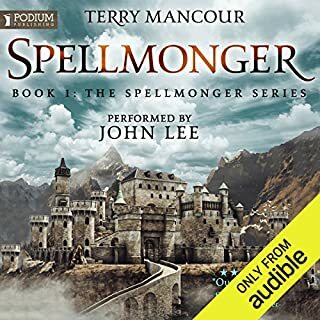 I think this may be the best combination of book and narrator I've found so far - many, many dishes got washed with loving attention so I could carry on listening! (Wouldn't dream of trying to drive and listen, as it's far too engrossing for safety.) 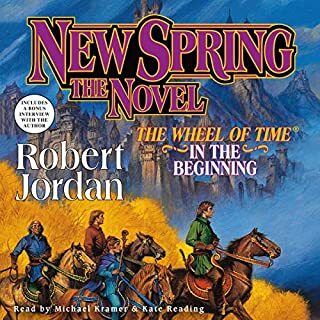 I wasn't sure at first that the repeated flashbacks were going to work very well for listening, but everything was kept perfectly clear by Page's excellent reading and voices, and there was a great payoff as each story from Locke's childhood fit into place in the story in the present. 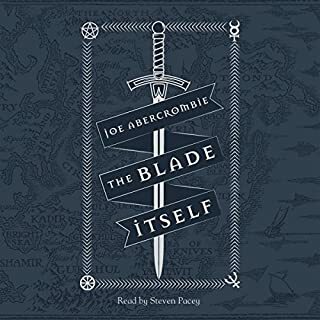 Great story, a deeply sympathetic crew of characters, and brilliant reading added up to a perfect listening experience. 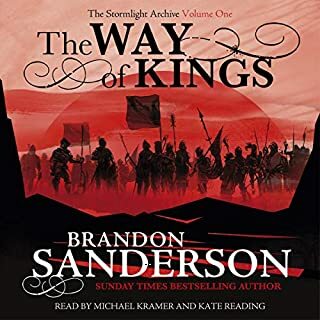 OK I have a confession, I listen to my Audible downloads in the car to while away the hours spent travelling to and fro work. Mr Lynch has written a book that has meant I have found many reasons to be out visiting customers or reviewing my team mates just so I could listen to the engaging tale of Mr Lamora. All in all this book has cost me a lot extra in fuel for the car and is still worth every penny. Finished the first book today and will be downloading the second after writing this review. I just hope the third book is recorded soon and fuel prices don't go up any more! An excellent story with good well rounded characters, that moves along at a cracking pace. But what really brings it to life is the narration. You won't want to switch off. A fabulous story, sprightly and witty. The novel is well structured and beautifully written and includes possibly the most imaginative swearing I've encountered in a novel. The acion takes off on the very first pages and never ceases until the very last ones. This book will make lough out loud in public places and walk around dreamily with your earohones in your ears and a big grin on your face. I can recommend it to anyone who's up for some adventure! 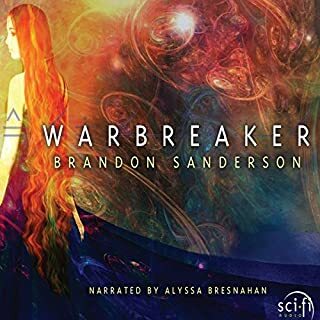 The story's great, very imaginative and moves along at a pace, but I'm having a lot of trouble listening to it with this narrator. He uses outlandish voices for all the characters but there's not a lot of differentiation between them, so I'm having difficultly following who's who. As a result the book is dragging and I'm finishing it with gritted teeth rather than enthusiasm. 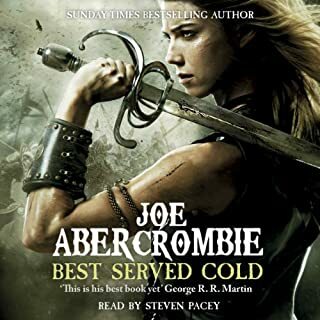 I think I've been spoilt by listening to the wonderful Steven Pacey narrating Joe Abercrombie's superb novels - oh what Pacey could have done with Scott Lynch's characters!